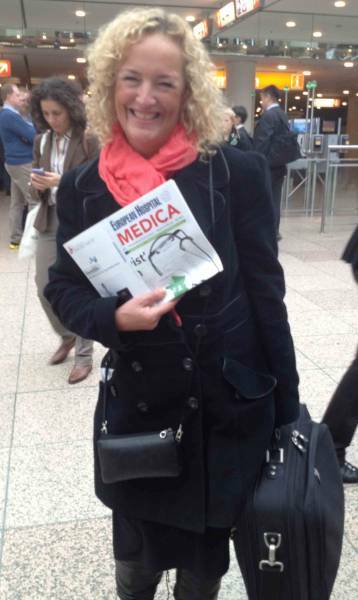 MEDICA is the largest and most important medical fair worldwide. PHYSIOMED will have its booth C 25 in hall 9, as in past years. PHYSIOMED ELEKTROMEDIZIN AG is a leading producer of high quality equipment for traditional and innovative physical therapy. The German company focuses on offering equipment for treatment in the fields of rehabilitation, sports, aesthetic medicine and veterinary medicine. The PHYSIOMED name stands for outstanding product quality, cutting-edge technological solutions, and an outstanding priceperformance ratio. Its products range from equipment for electrotherapy, ultrasound therapy, vacuum application, laser therapy, microwave and shortwave therapy, cryotherapy and magnetotherapy to CON-TREX® biomechanical testing, training and therapy, as well as a spectrum of new and clinically-tested therapy approaches such as the unique DEEP OSCILLATION®, MAGCELL®, PSORIAMED® and vocaSTIM®. They make every effort to keep their products safe for the patient and the therapist, and to do this they make sure their safety functions go way beyond the official legal requirements. PHYSIOMED ELEKTROMEDIZIN AG presently exports its products to more than 70 countries worldwide. At the same time, the company, which is engaged in international research, maintains numerous cooperative efforts with universities and the continuous exchange of information with renowned scientists and leading physicians. Our products‘ outstanding performance and suitability for daily use are based on over 40 years of experience and continuous communication with working therapists. 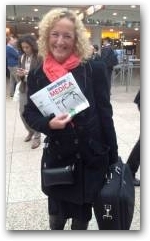 Jule Soroczyn, Managing Direcor of PhysioPod UK Limited pictured at Medica in 2012. PhysioPod® UK Limited are looking forward once again to meeting to meeting new and existing LSN Members and providing information and small tasters of DEEP OSCILLATION therapy. PhysioPod® UK Limited are delighted to be invited for the second time to demonstrate DEEP OSCILLATION at Lymphaletics 2016, a bi-annual event which provides a wonderful opportunity for families with teenagers and children living with Lymphoedema to learn and discuss non-invasive and helpful approaches for this chronic condition. PAST: PhysioPod® UK Limited to exhibit internationally patented DEEP OSCILLATION® at British Chiropractic Association (BCA) Spring Conference 2016 on Saturday 12th March 2016. PhysioPod® UK Limited are excited to exhibit DEEP OSCILLATION® therapy for the first time BCA Spring Conference 2016 taking place at the Radisson Blu Edwardian Heathrow Hotel on 12th March 2016. PhysioPod® UK Limited are excited to exhibit DEEP OSCILLATION® therapy for the third time at the Physio First 2016 Conference in their home town of Nottingham. PhysioPod® UK Limited are delighted to confirm that Dee Stringer will provide DEEP OSCILLATION® massages on behalf of PhysioPod® at the event. PhysioPod® are delighted to accept the invitation of AACP to exhibit DEEP OSCILLATION® therapy at their 2016 Annual Conference. An excellent line up of speakers will provide a stimulating series of clinically applicable presentations. Due to unforseen circumstances PhysioPod™ UK Ltd are unable to attend Lipoedema UK Annual Conference and AGM. Information of the therapy will be placed in delegates information packs. The Elite Sports Performance Expo is specifically designed to showcase all of the latest cutting edge technology, sports equipment, facilities, services and nutrition from around the world to help improve and enhance the performance of elite sporting clubs, athletes and organisations. 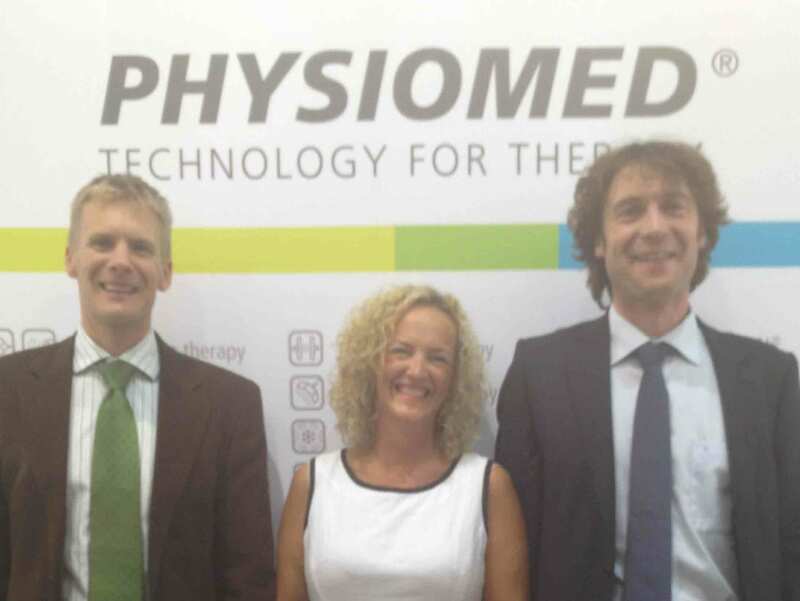 PhysioPod are delighted to exhibit their range of DEEP OSCILLATION® therapy products at Stand 1150.